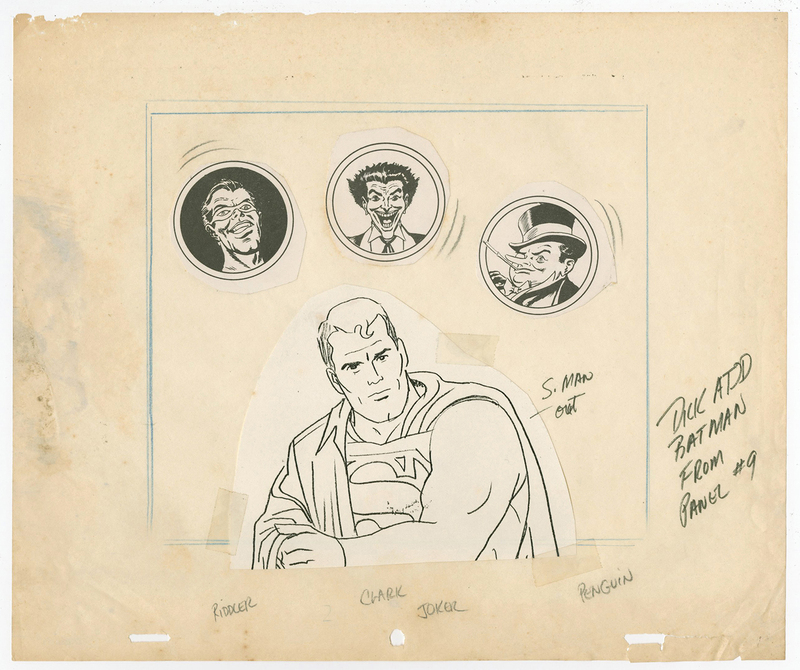 This is an original layout from the opening titles of Filmation Studios production of The Batman/Superman Hour (1968-1969). 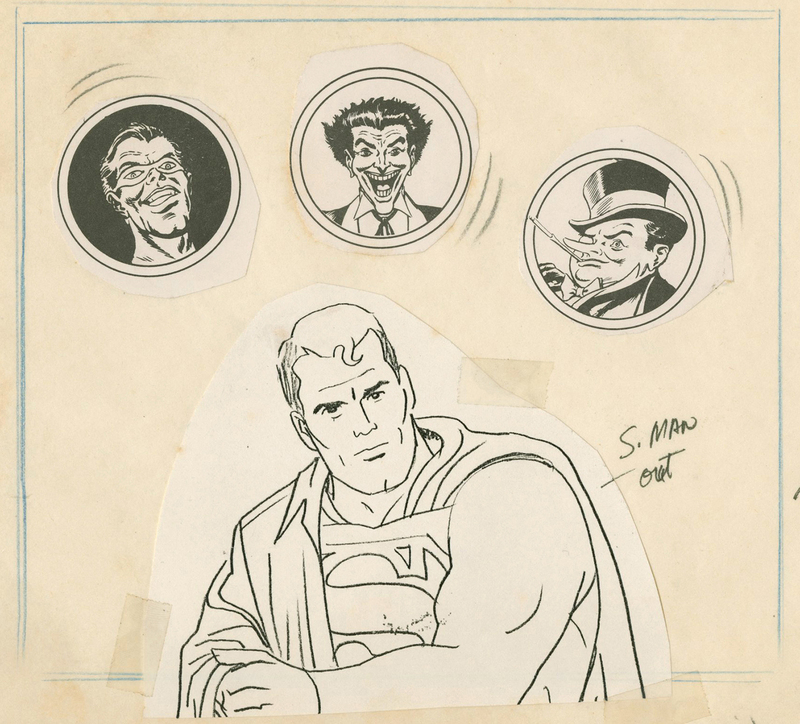 This layout drawing features Superman, The Riddler, The Joker, and the Penguin. and was created at the studio and used during the production of the series. The overall measurements of the piece are 10.5" x 12.5" and the image itself measures 7" x 7". The drawing is in great condition with some wear to the top and bottom edge and discoloration along the top edge. All four character images are xerox imagery that was trimmed and applied to the layout drawing sheet. As you can see in the notes, this imagery specifically would be from a scene in the titles that would switch between the two main heroes, Superman and Batman.